The $1.80 coffee pod hack that is completely and utterly genius. The $1.80 coffee pod hack mums can't stop sharing. Have we got a life-changing hack for you. Members of the Mums Who Organise Facebook group have shared little storage hack and it’s, well, bloody genius. 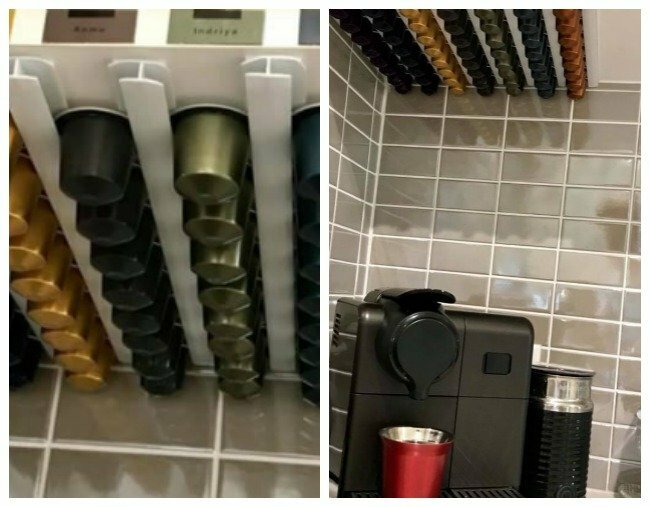 These very clever storage queens have discovered a nifty way to store Nespresso (and other brand) coffee pods in your kitchen cupboard. The best bit? It’ll only set you back about $5. The hack uses PVC strips that cost around $2 each at your local hardware store. They feature a little groove, so they act as ideal railings for coffee pods to slide on to. You can attach the slats wherever you like - on the wall, underneath or inside cupboards. Speaking to Kidspot, mum-of-three Gina Baynham said she found the hack online and decided to give it a go. “I’ve tried lots of different ways of storing Nespresso pods – jars, boxes, you name it,” the NSW mum told Kidspot. Then she stumbled upon the hack in the Facebook group. 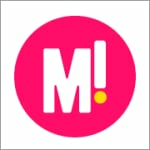 “When I saw this idea on the Facebook group ‘Mums Who Organise’, I was so excited,” she said. “The kitchen looks so uncluttered it has cleared up my bench surfaces. Next time my husband comes home from the Nespresso shop with new varieties all I will need to do is stick a few more lengths of PVC and I will have unlimited capsule storage,” she explained. So there you have it - this little hack might just change your coffee drinking life.